To push your cocktail mixing abilities up a notch, you've got to get a little bit bigger! 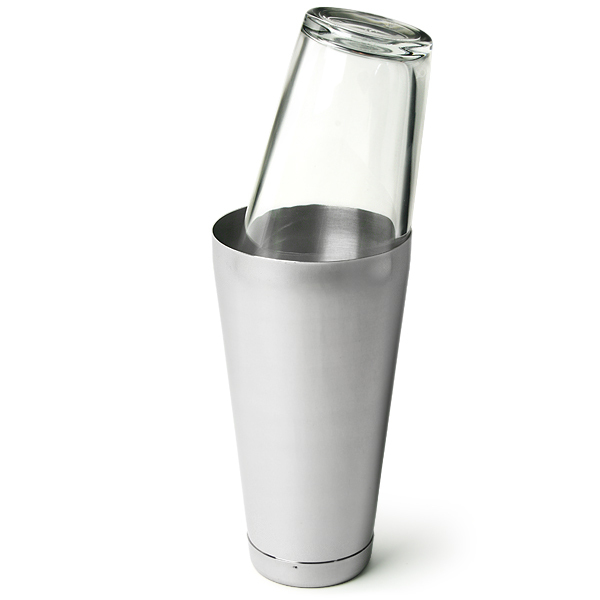 The Mako fits neatly into the family of our Professional Boston Cocktail Shakers, but the slightly increased size gives it an extra edge. As with all Boston cocktail shakers, you can use the durable 16oz Boston mixing glass, but because of the wider rim of the Mako, you can combine it with the standard 28oz Professional Boston Cocktail Shaker tins instead of a glass! 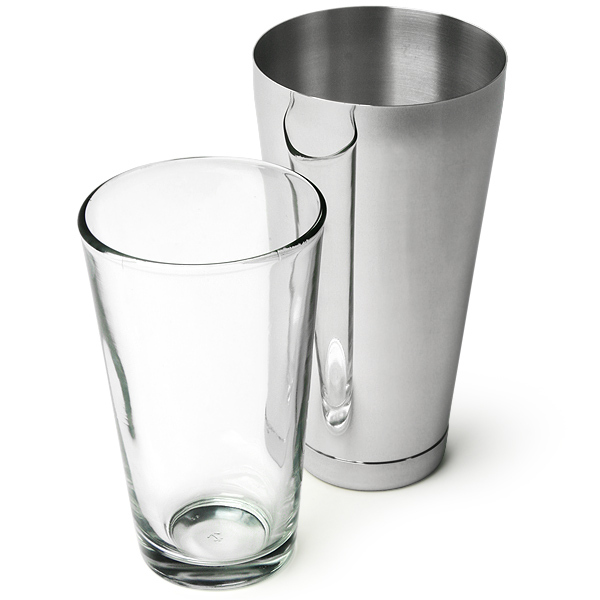 So, if you're the kind of mixer that only likes people to see the final product, then using the Mako with one of the other Boston shaker tins keeps your ingredients hidden until you pour the drink out! 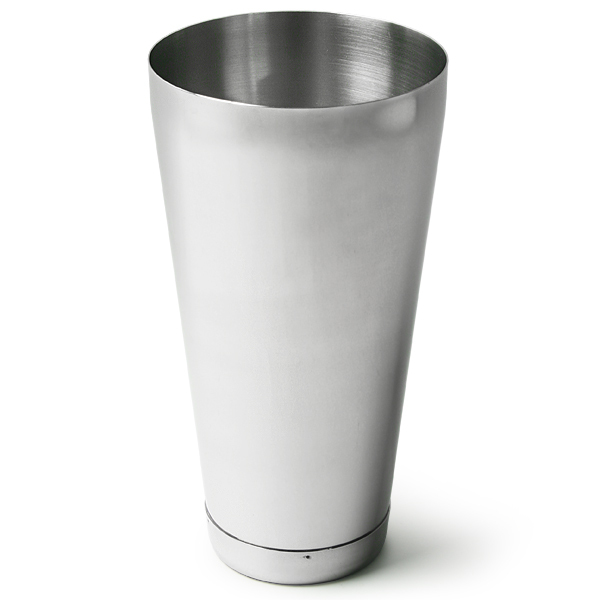 With a classic polished stainless steel finish, the 30oz Mako is ideal for adding an extra edge to your flair show, and is great for a professional cocktail mixer! "This little set is great. The tin has a heavy bottom to it which makes shaking nicer, plus that insulates your hand a little. It forms a great seal very easily. 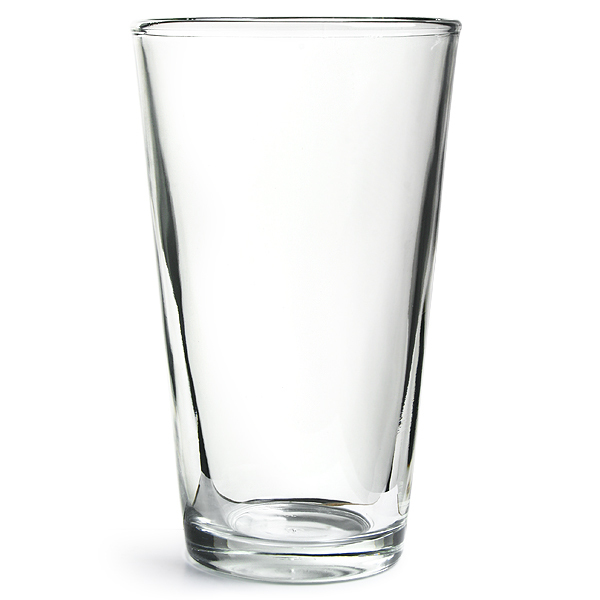 It's big enough to do a couple of drinks in one go and still get loads of ice in there. (Pictured with a julip stainer which isn't part of this set)"
"Such a simple idea, but great when you need to fit just that little bit more spirit for the time you have to shake 200 Cosmopolitans!